The Economic and Financial Crimes Commission Monday October 10, 2016, arraigned one Johnson Babatola before Justice Taiwo O. Taiwo of the Federal High Court sitting in Ado- Ekiti, Ekiti State, on a 7-count charge bordering on Advance fee fraud and operation of illegal Polytechnic. He however pleaded not guilty when the charges were read to him. 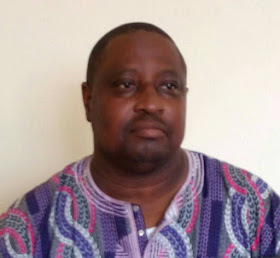 Babatola, a former Principal Manager of the Central Bank of Nigeria, Ado-Ekiti branch was arrested following a petition from the National Board for Technical Education, Kaduna, alleging that he was operating an illegal Polytechnic named Teedek Polytechnic at Ilogbo, Ekiti State and extorting gullible students who are not aware of the status of the institution.